Has there ever been a horror star as beloved as Vincent Price? Even people who don’t ordinarily like horror films make an exception for his movies. Price was special. He was as elegant and refined as Peter Cushing but he never seemed unapproachable. He could be as cold and imperious as Christopher Lee but he could also illicit laughter and sympathy, sometimes all in the same role. Most of all, Price always seemed to be enjoying himself even when he probably wasn’t. With a twinkle in his eye and a devilish smile on his lips, Price loved scaring audiences while reassuring us that it was all in fun. 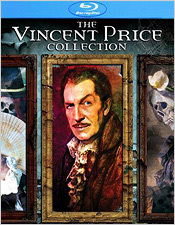 Scream Factory has given Price the royal treatment he deserves with this 4-disc, 6-film set that every Vincent Price fan should own. 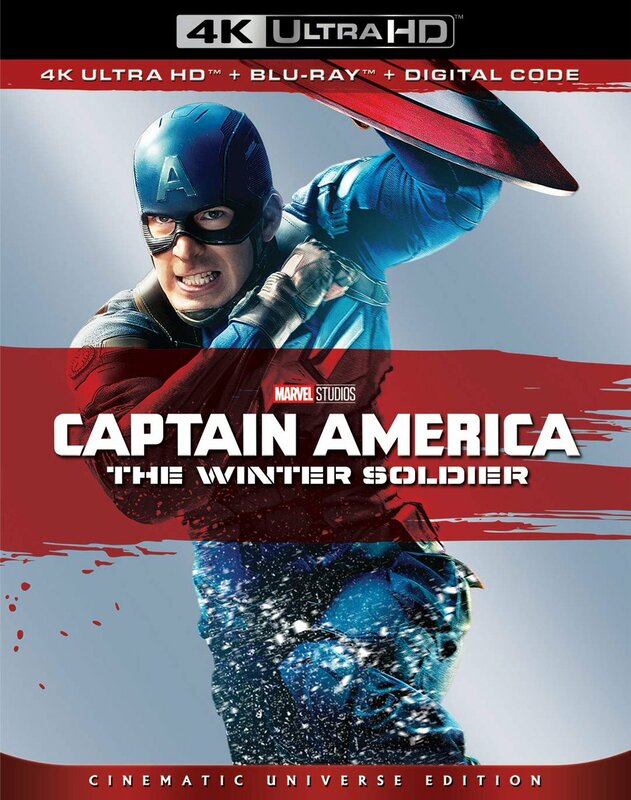 Simply put, this is a home run and one of the most exciting Blu-ray releases of the year. Before we break the set down film by film, you may have noticed that I’ve given this set a general, average grade for video and audio quality, something we don’t usually do for multi-film collections like this. That’s partly to save a bit of time but also because the work is consistently strong throughout. 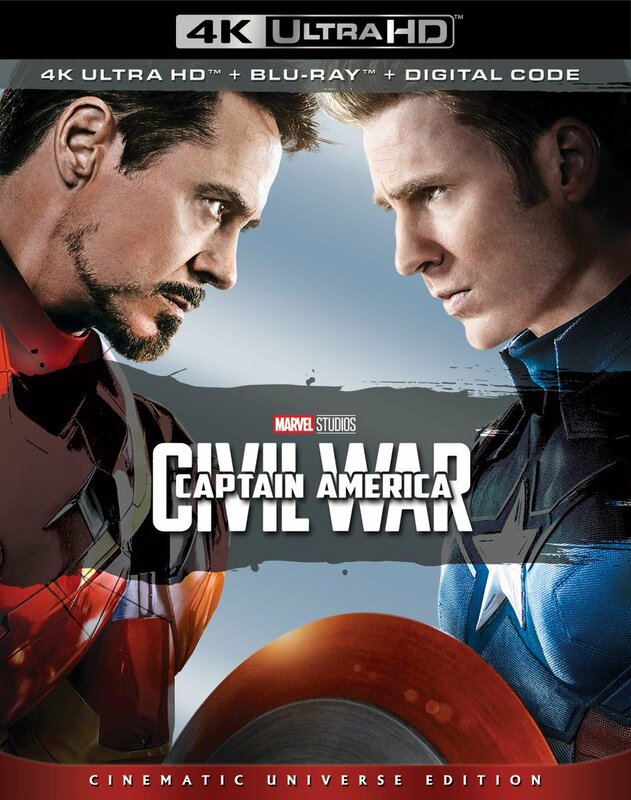 All audio is presented in DTS-HD 2.0 mono and it’s quite good. The transfers are all remarkable and I’ll make a few comments about them where applicable. But there’s almost nothing to complain about here, so I’ll keep those brief. If I have a nit to pick, it’s that the movies aren’t collected chronologically on the discs themselves, so you’ll have to go back and forth to watch them in order. Boo-hoo. Anyway, let’s get to the good stuff. Arguably the high point of Roger Corman’s directorial career was the series of eight Edgar Allan Poe films he made in the 1960s, mostly in collaboration with Price. Pit and the Pendulum was the second in the cycle and casts Price as Nicholas Medina, the son of a notorious inquisitor whose torture chamber still sits deep within the Medina castle. Medina’s wife, Elizabeth (Barbara Steele), has recently died and her brother, Francis (John Kerr), arrives looking for answers behind her mysterious death. But Nicholas is being driven mad with guilt, convinced that he and Dr. Leon (Antony Carbone) acted prematurely and interred Elizabeth while she was still alive. Does her spirit still haunt Nicholas or is he unknowingly causing all this himself? Pit is certainly not the best movie in the Poe series but it’s a lot of fun. It starts off a bit slowly and since the final twist doesn’t come as much of a shock, there isn’t a lot of suspense. But there is a lot of atmosphere and there’s no one better than Price at playing the tortured soul. He’s great to watch even when the script drags things out a little too long. The real fun starts in the last act when Price finally goes completely insane. Corman films this sequence expertly. Is it over the top? Very much so. Is it a whole lot of fun? Absolutely. Pit looks spectacular in HD, especially the insanely colorful opening titles. In terms of extras, one of the best features of the entire collection is a series of intros and closing remarks by Price shot for Iowa Public Television in 1982. This was a series of 12 films that ran in Iowa and all of the movies in the set except for The Abominable Dr. Phibes feature this footage. This is a major discovery and a delightful treat. The disc also includes a prologue I believe was included on TV prints. It’s an interesting curio but it really makes no sense with the rest of the movie. There’s also a very fine audio commentary by Corman (ported over from the MGM DVD), a trailer and photo gallery. The Masque of the Red Death is frequently singled out as the best of the Poe films and who am I to argue. It’s a remarkable, visually breathtaking movie that weaves a little bit from Poe’s Masque, a little bit from his story Hop-Frog, a little bit of Ingmar Bergman influence and a little good old fashioned Satan worshipping to come up with something wholly unique. Price is magnificent as the cruel Prince Prospero, the tyrannical ruler of an agrarian village. When he discovers the village has become infected by the Red Death, he burns it to the ground, summons his fellow noblemen to his castle and locks the doors, offering both sanctuary from the plague and a bacchanalian masquerade to pass the time. Everything clicks in this movie, from the performances to the color-drenched photography by Nicolas Roeg to the sumptuous production design of Daniel Haller. Corman wasn’t above churning movies out assembly-line style but he really gave this one his all. He’s often praised as an astute judge (and exploiter) of talent but dismissed as a filmmaker. Masque more than makes the case for his abilities. When Corman put his mind to it, he was as innovative and gifted a director as anyone. A major thumbs-up on the visual presentation of Masque. I’ve got to assume color timing was a major challenge on this film but the disc meets and exceeds all expectations. Extras include a new audio commentary by author Steve Haberman, a video interview with Corman from the previous DVD, the trailer, photo gallery, and Price’s introduction and closing remarks. With the Poe movies making money hand over fist, it was only natural that AIP would want another one. But after five of them, it was also only natural that Corman should want to branch out a bit. He proposed a film version of H.P. Lovecraft’s The Case of Charles Dexter Ward. AIP agreed, slapped the title of a Poe poem on it anyway, and called it a compromise. The Haunted Palace isn’t quite as good as the other Poe films in this collection but it’s far from a bad film. Price stars as both Ward and his ancestor, the warlock Joseph Curwen. Curwen was burned to death by the good citizens of Arkham over a century ago, placing a curse on the town and vowing to return. Ward’s arrival to claim his ancestral home obviously doesn’t sit well with the folks in Arkham, who blame the curse on the large number of bizarre physical mutations the town is plagued with. Naturally, it isn’t long before Curwen returns to take control of Ward and finish what he started. The main problem with The Haunted Palace is its strict three-act structure. The first part deals with Curwen’s struggle to control Ward. Part two finds the possessed Ward taking revenge on Arkham’s descendants, a diversion that even Curwen’s fellow warlocks (including Lon Chaney Jr.) think is a waste of time. He also busies himself with an attempt to resurrect his former love, another thread that doesn’t add much, and the final leg finds Curwen getting back to business with the Necronomicon. Still, it’s a fun change of pace from the other Poe movies and Price has a field day playing both the sympathetic Ward and the diabolical Curwin. This is another solid transfer, although the extra level of detail doesn’t do any favors for the makeup. The movie gets two solid commentaries, one by authors Lucy Chase Williams and Richard Heft (which doesn’t quite run for the entire length of the feature) and another by Tom Weaver, joined briefly via telephone by actress Debra Paget. There is also a video interview with Corman (previously released), the trailer, photo gallery and Price’s intro.